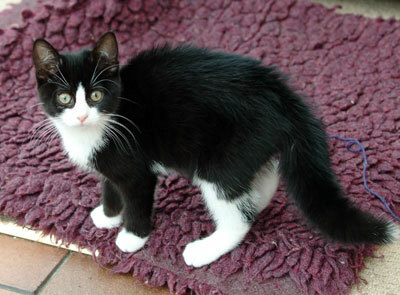 >Anybody reading this blog recently will think that I’ve just been busy with cats, kittens & hedgehogs. Whilst they have been taking my time other things have been happening but sadly not all are blog-able at least not yet. With Christmas just a few weeks away I’ve been planning & casting on projects via Ravelry but none can be revealed here. 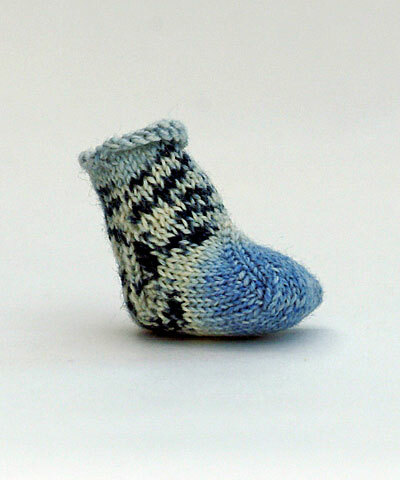 Source: Last-Minute Knitted Gifts by Joelle Hoverson. Modifications: I wasn’t very well when I made this & I’m using this as the excuse for going wrong. I counted the stripes instead of the rows so I made a jumper dress instead of a jumper or sweater But it’s still cute. Yarn: Wendy Cotton Supersoft & Wendy Miami found hiding in my stash. These little knits will be converted soon with the aid of a tiny bit of pink i-cord & a keyring & will be sent off shortly to a fundraiser to raise money for Breast Cancer Research which is always a worthy cause. They’re continuing to cause havoc! We’re slowly introducing them to the dogs by bringing one dog into the conservatory at a time & having them lie down so that the kittens can get used to them. Both dogs are big (25.5″ & 26″ tall at the shoulder) & their heads are bigger than the kittens entire bodies) and are cat friendly & have never hurt a cat in their lives but they’re both finding it very interesting to have two manic kittens run around at top speed and want to play. Wagging dog tails have been ‘patted’ at & games chasing tin foil balls & catnip mice taking place around the canines but we’ve got a long way to go before they can all be integrated together. It’s made harder partly due to Annie’s partial blindness; as she can’t always see what’s going on, she tends to bark in excitement when she hears a noise, which obviously scares the kittens & they then scoot back to the kitten nursery, aka the conservatory in it’s former use, at high speed with tails like Christmas trees! 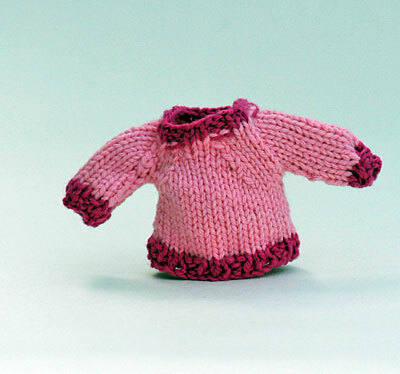 >I love the little jumpers and socks but, I am afraid your knitting has been usurped by Ginny she is beautiful! Have you seen the kids work shops for next year? There is one on designing a bag in the summer looks quite good. >Oh yes! I’ve already booked a place on the August course for DD & myself & our summer holiday will be booked before then so it doesn’t clash. 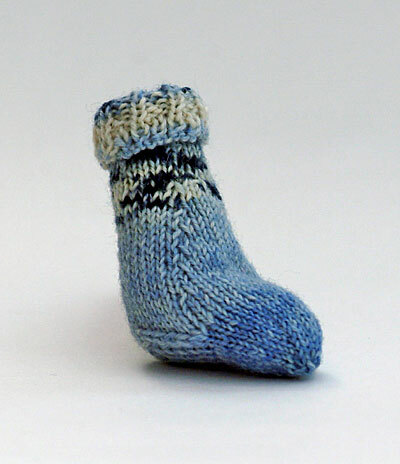 >The miniatue knits are great! I really like the jumper-dress actually, very sassy stripes. 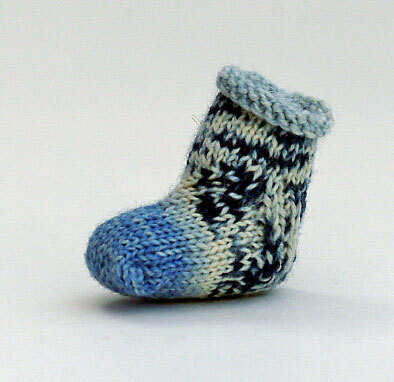 >Love those mini knits. Do you put them on dolls? 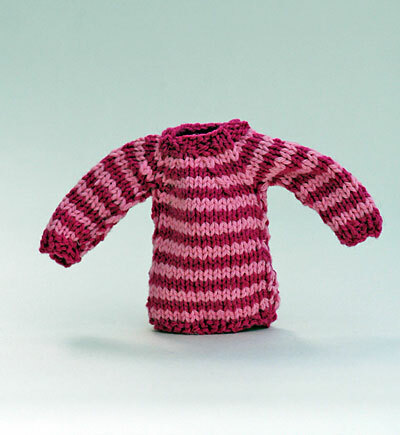 >Love the mini knits too and so admire your patience and dexterity! And very pleased to hear that the kittens are taking to the dogs. I haven’t tried the cuff-down socks from that book yet because I’m not sure I’m sold on the the idea of a flap on the sole. What is it about the shaping you don’t like?